Open New Account Client Log-in About Ticker Tape Why TD Ameritrade? Just got your first “real” job? Set two financial priorities: build an emergency fund pronto, and then start to line that retirement nest egg right away. Congratulations! You've earned that college diploma and landed your first “real” job. Your parents are happy to have you off their payroll, but now it's all up to you. Juggling finances can be a challenge for the uninitiated, and the saving and spending groove you slip into now can shape your future financial security. Priority #1: The first thing you need to do as a newly independent financial adult is to establish an emergency fund. That fund needs to cover your living expenses for as long as you think it might take you to find another job if something should happen. "Long-term saving can wait. It doesn’t make sense to save for 30 years from now if you can’t pay your rent next month if you were to get laid off," says Sarah Newcomb, behavioral economist at Morningstar. 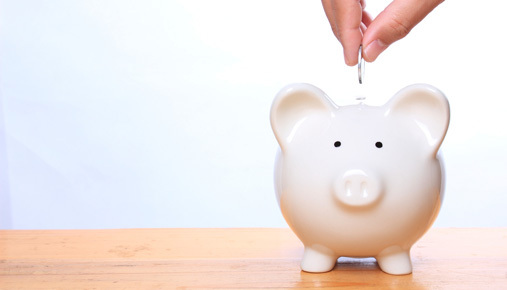 How much cash do you need to stash in your emergency fund? Experts recommend a minimum of two to three months of living expenses. Use Morningstar’s free emergency fund calculator as a starting point. Priority #2: Surprise! Your next priority isn’t saving for a new car or even a home. Retirement saving should be your second goal after fully funding your emergency account. "This might sound strange when retirement feels so far off, but every year you wait to start makes it much harder to actually reach the goal," says Newcomb. If your new employer offers a 401(k) retirement savings match, fully contribute at least up to the match amount. If you don't fund the account to your full match amount, you are leaving free money on the table. Stash it away out of sight and out of mind, and thank yourself later. Think your new cost of living is expensive? The cost of living will be at least double in 40 years, Newcomb warns. "You need to give your money time to grow. Prices when you retire will be much, much higher than they are today. People forget that when they are thinking about how much money they need to save for retirement," she says. Sure, retirement seems a long way off. It can be hard to pinch pennies on your budget now to plan for something 30 years down the road. But the biggest obstacle to saving for retirement in your 20s can be your mindset. There’s a phenomenon called "psychological distance" that refers to how far away something feels or appears. What you spend or do today might feel more important or urgent than what will happen in 10 or 20 years. "Because we discount the future like this, it numbs us to the actual pain and stress that we will experience later on if we fail to plan. Immediate gain seems bigger than future pain. So, we spend today and think we’ll save tomorrow, but when tomorrow becomes today, we do the same thing all over again," Newcomb cautions. Professors Richard H. Thaler, of the University of Chicago, and Shlomo Benartzi, of UCLA, have devised an approach called Save More Tomorrow that utilizes concepts from behavioral economics to increase employee savings in defined contribution plans like 401(k)s.
One of the basic principles of the plan is to obtain a commitment now by employees to save more next year when they get their raises. From a psychological perspective, individuals feel less pain by committing funds from a future raise as opposed to taking it out of their current salary. If all else fails and you still don't want to start saving for retirement now, try creating a digitally age-progressed photo of yourself to generate a little self-sympathy. Ready for a financial workout? Let our Investment Consultants help you improve your fiscal fitness. Third parties listed above are separate from and not affiliated with TD Ameritrade. Their views and opinions expressed may not be reflective of those held by TD Ameritrade, Inc.
Market volatility, volume, and system availability may delay account access and trade executions. Past performance of a security or strategy does not guarantee future results or success. Supporting documentation for any claims, comparisons, statistics, or other technical data will be supplied upon request. The information is not intended to be investment advice or construed as a recommendation or endorsement of any particular investment or investment strategy, and is for illustrative purposes only. Be sure to understand all risks involved with each strategy, including commission costs, before attempting to place any trade. Clients must consider all relevant risk factors, including their own personal financial situations, before trading. TD Ameritrade, Inc., member FINRA/SIPC. TD Ameritrade is a trademark jointly owned by TD Ameritrade IP Company, Inc. and The Toronto-Dominion Bank. © 2019 TD Ameritrade. This link takes you outside the TD Ameritrade Web site. Clicking this link takes you outside the TD Ameritrade website to a web site controlled by third-party, a separate but affiliated company. TD Ameritrade is not responsible for the content or services this website. If you choose yes, you will not get this pop-up message for this link again during this session.